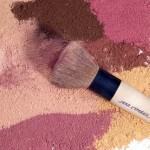 Today, I am going to write about jane iredale’s mineral make-up line. As I have written in the past, we at kai the med spa test every single product that we bring into our spas. By test, I mean we set specific parameters for the products, use the products ourselves for extended periods of time and evaluate our research. Then and only then do we decide to introduce a product or service into our spa. One of the products that made it past our testing is the jane iredale line of skin care makeup. 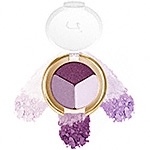 With a multitude of mineral make-up choices, we found that jane iredale uses the highest grade of minerals and has the greatest selection of colors. As every woman knows, make-up is one of the hallmarks that make us feel like a woman. Make-up when applied correctly can make us invincible and applied incorrectly can take our self confidence away. $200.00investment has just found its way into the garbage can. I can tell you this has happened to me more times than I care to admit. This is where the jane iredale line comes into play. Yes, this line has all the complimentary colors based on your skin type and has a full line of products for all your needs. More importantly though, this line offers benefits that most lines do not. These include: LOW allergy risks (because of the minerals used), provides UVB and UVA protection up to SPF 30, is an anti-inflammatory (it actually soothes your skin), offers complete coverage of an array of skin conditions (you know what I am talking about), contains no talc AND is non-comedogenic (which means it wont block your pores). Now you know why we brought jane iredale into the spa!! If you are one of the millions of women who want to look great but are frustrated with the grade of products on the market today, stop by one of our three locations in Sandy Springs, Johns Creek or Alpharetta, GA and we will be more than happy to introduce you to the jane iredale line. In addition, one of our staff will answer any questions you have about skin care and make recommendations based on your specific skin. We know you will enjoy it as much as we do and will be happy with the results it provides. Colors you can use and enjoy! Have a great Memorial Day Weekend and we look forward to seeing you. In my line of work, I am always asked the question, “How often should I get a massage?” Of course my first reply is that you should get a massage every day! Then I am asked, “Do you get a massage every day?” No, sadly I do not and even more tragic is that I own my own spas!! Then I am asked if you own your own spas and do not get a massage everyday, why not? To that, I reply “with my hectic schedule of running three locations, planning a fourth one, meeting reps from the different lines we carry and providing my clients with exceptional one on one interaction, who has the time? Yes, time is always a factor when it comes to getting a massage and the other factor is usually money. In today’s economic climate, getting a massage everyday can become cost prohibitive for most people. How often you should get a massage is really based on the goals you have for what you want to get out of your visit. What I mean by this is simple. What do you want to accomplish when you come in for a massage? Are you looking for a relaxing day to pamper yourself and your friends or do you have specific pain or tenderness that you would like us to address? We service clients at both ends of the spectrum as well as everywhere in between. You have seen us on T.V. 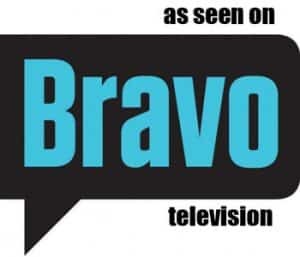 pampering The Real Housewives of Atlanta with the luxury of services we provide and we also help marathon runners and cyclists who come to us two to three times a month to help with their recovery. Each of our clients is unique and each one has different needs. After we sit down with you and determine what your needs are, we can then determine the frequency of your visits as well as the type of massage best suited for you. Usually we will mix up the massages as each type of massage is designed to address a specific need. Your life changes minute-by-minute, hour-by-hour and your massages should reflect that. Do you want to leave with more energy or do you want to leave like you are floating out of the door? Depending on the type of massage and how your body reacts to that massage we can get you what you want. At kai the med spa, we offer over 50+ types of massages. We have the lighter touch Swedish massage; Sports massage for the athletes; Deep tissue for those tough, tight areas; a very unique Thai Herbal ball massage (this is the one that the Real Housewives did on the Bravo episode); Prenatal massage for those achy backs; Couples massage for any two persons in the same room who want to share their experience together; Back/Neck/Shoulder massage for those sitting at computers all day; Head and Scalp massage; mix and match a few different types…the possibilities are endless. You can add essential oils or add facial pressure points too in order to enhance your massage experience. Which one is right for you is determined that day during our consultation. No matter which spa treatment you choose, the answer that I always give when asked, “How often should I get a massage?” is this. The true benefits of a massage are felt over time. Unlike a service like Fraxel, which can be seen in as little as 24 hours, massages are a holistic approach to helping your body. Take time to put together a REGULAR schedule of massages and your body will feel better in the short AND long term. Stay tuned for my next blog wherein I will answer some of the common questions we get about massages. For more information about kai the medical spa click on kai med spa. Wow, what a great day today was! Today, I was invited to be on the radio. Yes, yours truly was on Atlanta Business Radio with a group of other smart, female business owners and we had a blast. I don’t know about you, but every time I talk about the exciting things that are happening with my company I get pumped up all over again. Yes, the economy is not the greatest and yes, I am a female business owner and yes, there are all kinds of things happening in the world today that are not positive; but when you own your own business you must make everyday a positive day, even when some days are not. If there is one thing I have learned in building my business is that a positive attitude or a negative attitude do not necessarily determine business success; however, for me personally being positive is just a better lifestyle. After all, who wants to do business with someone who is a “Debbie Downer”? I do not know about you, but I sure do not. Especially if I am going to a place to try to relax for a few hours! This is one of the reasons that kai the med spa has so many repeat clients. Sure, we carry phenomenal products and we offer even better services, but what truly sets kai apart is our desire to ensure that everyone of our clients has the best spa experience they have ever had. As I said (and you can probably tell) I am very excited about being in the spa business and look forward to being in this business for many years to come. I hope you enjoy this recording as much as I did making it and I also want to say thanks to Amy Otto and Lee Cantor for the invite. I look forward to doing it again. As usual, if there is anything we can help you with, please go to our website located on the right side of the blog or give us a call. We look forward to providing you the very best in spa experiences. 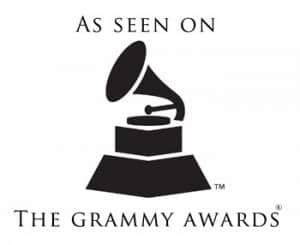 Kai – The Medical Spa offers clients the Fraxel re:store™ Laser treatment in its three Atlanta area locations. As the latest in non-surgical skin enhancement, Fraxel re:store™ is FDA approved, and targets acne scars/surgical scars, age spots/sun spots, melasma, actinic keratosis and a variety of other cosmetic conditions. Side effects are minimal and may involve mild-to-moderate swelling and redness, which subsides within a few days. Patients can wear make-up the next day, and most see improvement in discoloration, smoother texture and reduced pore size within weeks. Fraxel re:store™ Laser Treatment packages begin at $1200 for an individual session. A package of four full face treatments is $4000, and a full face acne package of six is $6000. Kai also offers Fraxel re: store™ on other areas such as the neck, chest, hands and crow’s feet. Prices vary depending on the area and the number of sessions needed. Many clients also opt for one treatment a year as a follow-up after their series of four treatments.“This is the most effective, no-downtime laser treatment available,” Choung says. “Your face and your skin are your most valuable assets, and this is the best high-quality restoration you could give yourself.”For more information visit www.kaimedspa.com. Kai – The Medical Spa provides a large selection of treatments for pampering, relaxation, beauty and results. With locations in Alpharetta, Johns Creek and Sandy Springs, Kai is a skin care boutique with the very latest in body care products from around the world. Services are designed for both women and men, and combine medical-grade products to achieve the best results in the shortest time period. Hours are Monday through Friday, 10 a.m. to 6 p.m., Saturday 10 a.m. to 4 p.m. and other times by appointment. OMG! I am rarely home watching tv, but tonight I was sitting here watching E! news weekend and I saw kai on the show!!! I cannot believe our little medspa that started in Sandy Springs, GA made it on another national show! It is exciting even if it was just for a few seconds! On the E! show, they were introducing the salaries of reality tv stars. In the intro, I saw the shot of Kim Zolciak at my spa when she was toasting “cheers” to the other ladies. (You could only see Kim’s face and the back of the heads of the others.) Then when they talked about the “Real Housewives of Atlanta” reality stars, they actually showed the scene in which Sheree’ enters kai and hugs Kim! It was such a surprise because they air so many hours of the show on tv and they chose that shot as one of the few to show for the E! segment! Coincidentally, a friend of mine just showed me this past Friday that I can rewind any show because I have DVR. (Thank you Kim Rennie!) So, I had to take a doubletake and rewind it. It worked and I was able to view it again! Thank you Kim Zolciak again for choosing kai to be your spa of choice for the show! I am as white as can be. I came out of the womb this way, and I have never been one of those girls who gets a natural glow about them after a summer at the beach…instead, I turn a fetching shade of pink in just a few minutes. I even spent a good deal of my childhood in California, but all I have to show for it is a collection of freckles that grows more dominant by the year. Along with long, skinny legs, washboard abs and a flawless complexion, a natural tan has always been one of my goals in life. For just one summer, I would love to have a perfectly golden tan that I can rock with a cute sundress and blonde highlights. I am a shallow individual who wants nothing more than to look like Sienna Miller, so when I got the opportunity to try this new spray tan, I was all over it. To start, I stood on a paper mat with my arms out and my legs about a foot apart so that Cari could hit me with some water-based lotion on areas like my toes, elbows and knees. This is so that the tanning solution won’t look too heavy on that rougher skin. Next she loaded up the airbrush with the lightest shade of dye and began to spray me down. This part is not uncomfortable at all – it just feels like a little blast of cold air. I rotated in a full circle, raised my arms, spread my legs…and Kim got to see a lot more of me than she wanted to that day, bless her heart. But Cari was very thorough and got all of my crevices, dimples and even my face. When she finished, I stood in front of a big fan for a few more seconds to make sure the dye was entirely dry. This entire process took no more than about 20 minutes, and I was able to put my clothes back on and get back to the office by the end of my lunch hour. The good part? No funky smell and no rub-off on my clothes. The even better part? All of my co-workers noticed immediately…one even said it made my teeth look whiter. The best part? A tan is incredibly helpful if you are trying to look thinner. If you have muscle tone, it definitely highlights it, and if you don’t, well…tan fat looks better than white fat in my opinion. In only a few minutes I look like I have been to the islands for weeks! I woke up the next morning looking like a toned golden goddess. Well, maybe not toned, but my teeth still looked really white and my hair even looked a little blonder. Most importantly, I had the illusion of health and fitness, and really, that was my goal. I don’t always have the time to actually BE healthy and fit, but if I look like it to others, well…my mission is accomplished. My spray tan was still with me and still looking nice and even. I was a bit nervous about shaving my legs in case it stripped some of the color, but no such thing happened. Phew. So along with my drop earrings, strappy sandals and gold purse, my spray tan and I attended this wedding in style. My Caribbean glow complimented my plum dress quite nicely, and not one person asked me if it was fake. Hooray. My arms and legs still looked bronze and even today, but my face and chest are starting to fade. Not too bad considering it is Day 4 though. This is still the tannest I have ever been in my life. Those girls at Kai weren’t joking when they said this spray tan would stay with me for a full week. True, I resemble my paste-y white self a lot more now than I did seven days ago, but I think my spray tan and I had a pretty good run. It beats subjecting my skin to actual UV rays, and let’s be honest, it looks a heck of a lot better than my overabundance of freckles.